Glover now is at the top of his game. 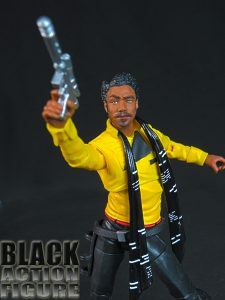 With the second season of his critcally acclaimed hit show, “Atlanta,” a hit-album which is on constant repeat in my car, and now a soon to be hit movie, he can do no wrong. He’s the only person I know who can host SNL, be the musical guest, kill it all around, then drop a video with over 141 million views in under a week. Damn Son. 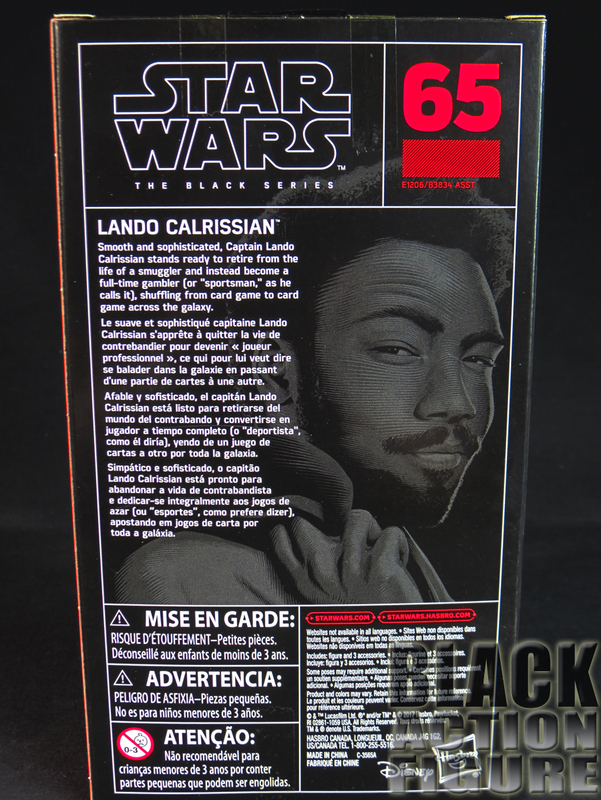 Packaging on Star Wars The Black Series figures really hasn’t changed that much from its inception in 2013. We have a basic collectors’ style box with a window. On the back, we get a nice little bio-blurb. 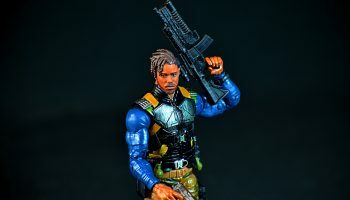 I think one thing that differentiates this line from the Marvel Legends line is that at least Marvel Legends takes the time to model their figures on the back of the box in most cases. 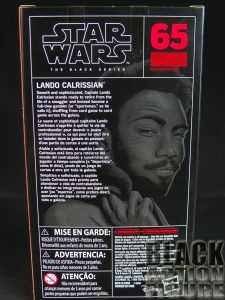 It seems somewhat lazy for Hasbro to just have some artist representation of the character. Almost like they are guiding your perspective of what the figure is supposed to look like whether or not it actually does. 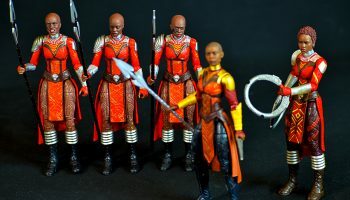 For example, the Shuri figure. They plastered a picture of the actress on the front and back. But that figure in no way looked like the actual actress. They could have put a stick in that packaging and it would have been the same effect. Luckily, we do get a decent figure, as seen from the box window. Officially, the figure is packaged with his weapon. 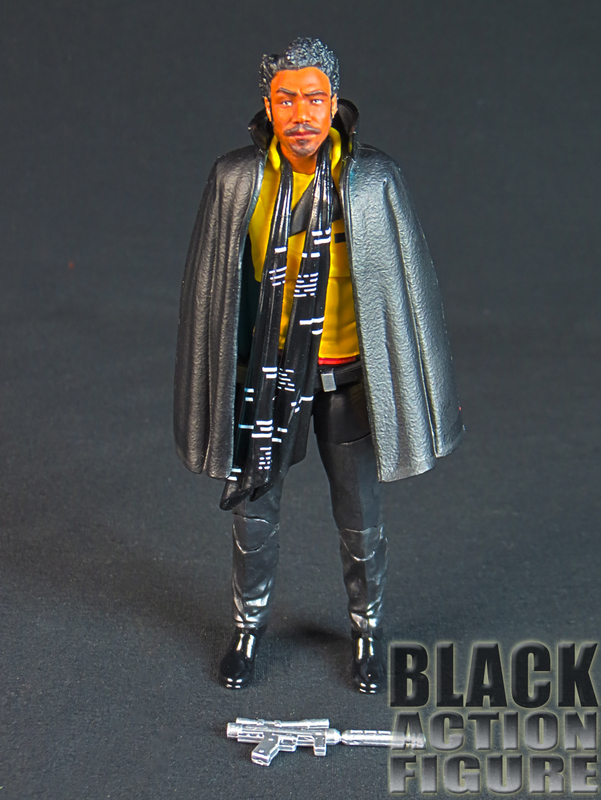 Unofficially, the figure is wearing it’s other two accessories, and easily removable cape and scarf. Nothing more to say except that all three are essential to this character. 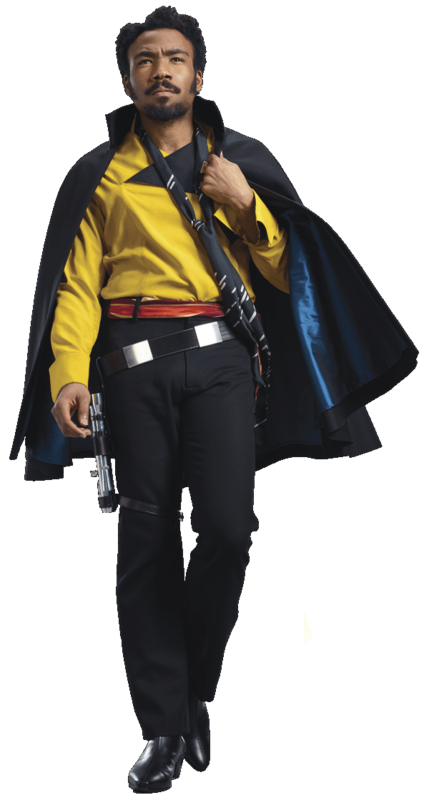 I do like the fact that the cape is made in such a way that it will stay on even when the figure’s arm is out of it. I also like how posable the scarf is. Even though it is made out of plastic, it is surprisingly very versatile. 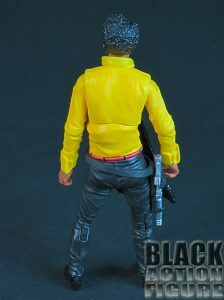 While not an accessory, there is a holster on the figure’s right leg, allowing a more than suitable place to keep the weapon when not in use. 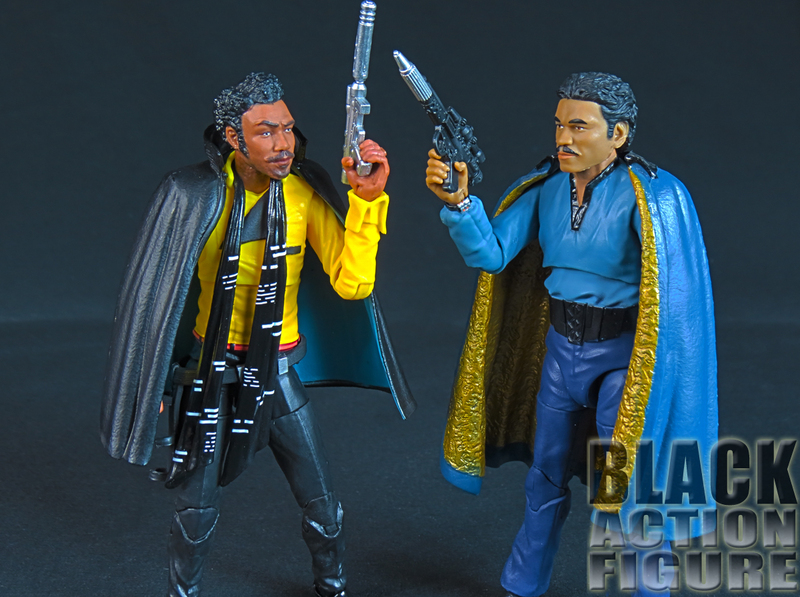 I haven’t seen the movie yet, so I really can’t say if there are more suitable accessories that need to be added. As of this point, I am happy with what we get…this may be a section I’ll have to reviit after I watch the movie. I am actually pleasantly surprised how accurate this figure is. 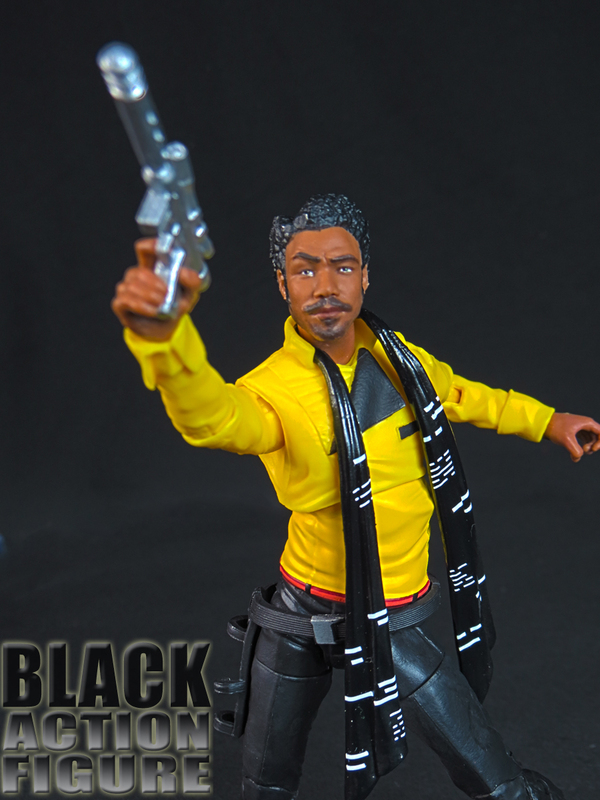 I look at this figure and instantly see Donald Glover. 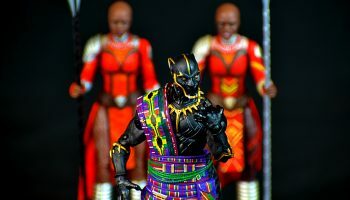 I’m happy that whatever 3D imaging process Hasbro is using is working well (after they royally effed up T’Challa…pun intended). 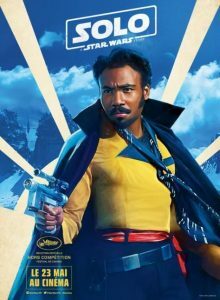 The clothing is accurate to what we are seeing in posters and previews. The weapon is accurate. Even the hairstyle is scarily on point. If I were to criticize anything, it would be proportions of certain accessories. Hasbro has a tendency to make accessories bigger in comparison to the figure itself. The closest thing that comes to mind is the Okoye figure. The spearhead for that figure is abnormally bigger than what the character wields in the movie. 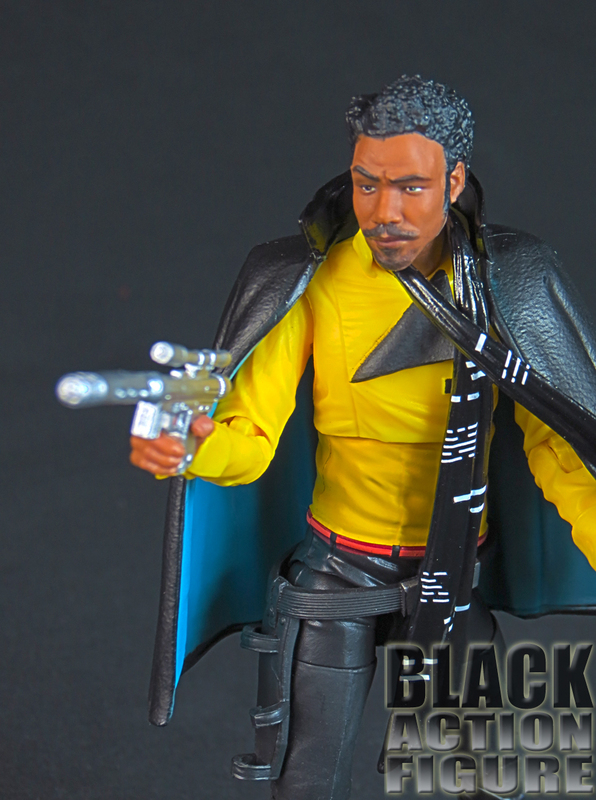 The same can be said here for the characters weapon and scarf accessory. While accurate in nature, both seem a little bigger. But I would rather slightly bigger than not at all, so we’re good. I hope if Thandie Newton gets a figure from her character, it is just as nicely sculpted and close in likeness as this character is. At 24+ points of articulation, it doesn’t seem up to par with some of Hasbro’s recent offerings. However, I still had fun posing this figure. 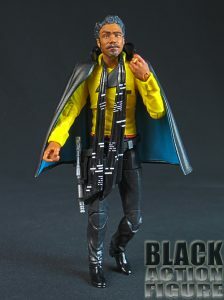 It has good balance despite having a cape and scarf accessory that could potentially throw the balance off. And I was able to mimic some of the poses that I have seen of the character with little to no issue. 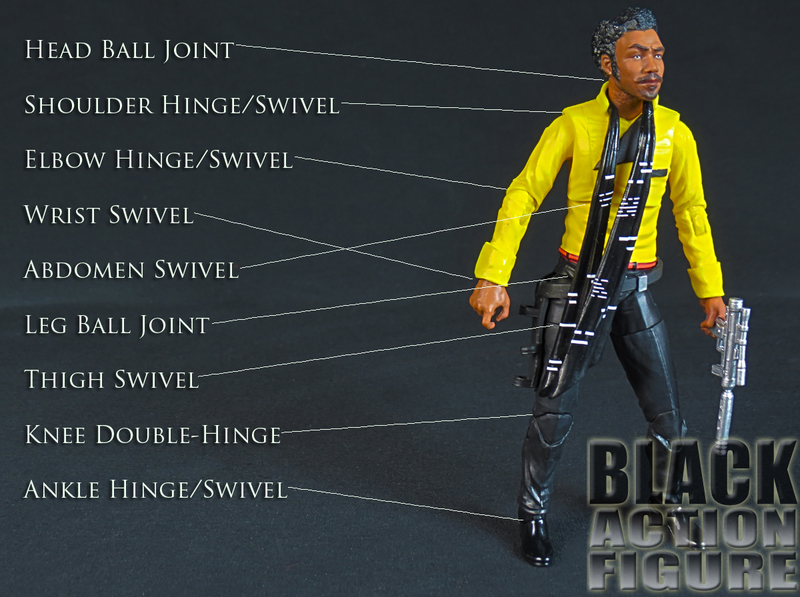 One thing I would like to mention is that even though this figure does not have the double-hinged elbows which allows a figure’s arm to do almost a complete bend, the Elbow hinge assembly on this figure allows it to do almost the same thing. I have started to see this assembly more and more often (usually on female figures) and in this case, it works very well. Here is to Hasbro to continue to tweak articulation of their figures until we reach that place of Zen. 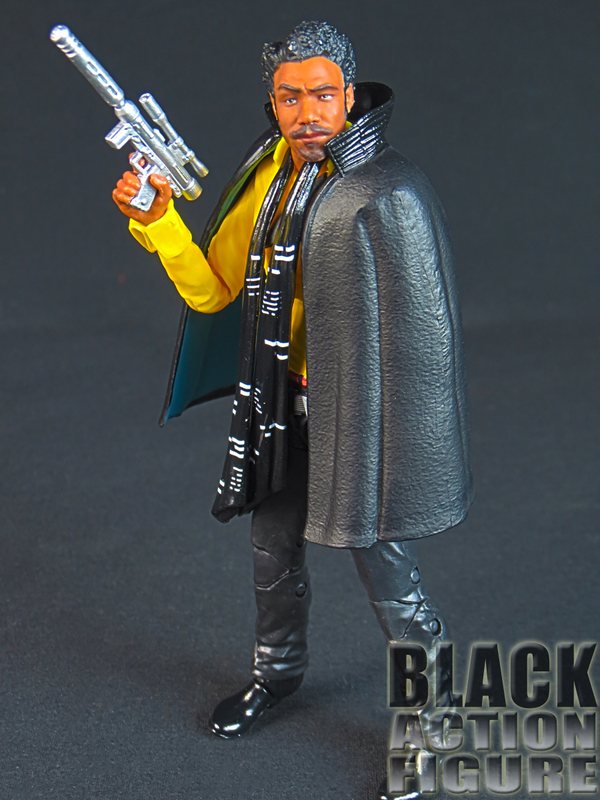 Most notably absent though was the lack of a waist swivel, which is surprising. I thought I was mistaken and went back to try and twist the figure several times to no avail. After the fourth time, I called defeat and used the abdomen swivel to twist the figure the way I wanted it for pictures. Unlike most, I’m looking forward to this new movie. I’m not sure why all of the hate, but this is definitely the year of the trolls (think the ones that came out to try and diss and discredit Black Panther). I really like everything about this figure. I like the actor they chose. I like the outfit design. Hasbro really did well on this outing. What I’m really looking forward to is the Hot Toy. 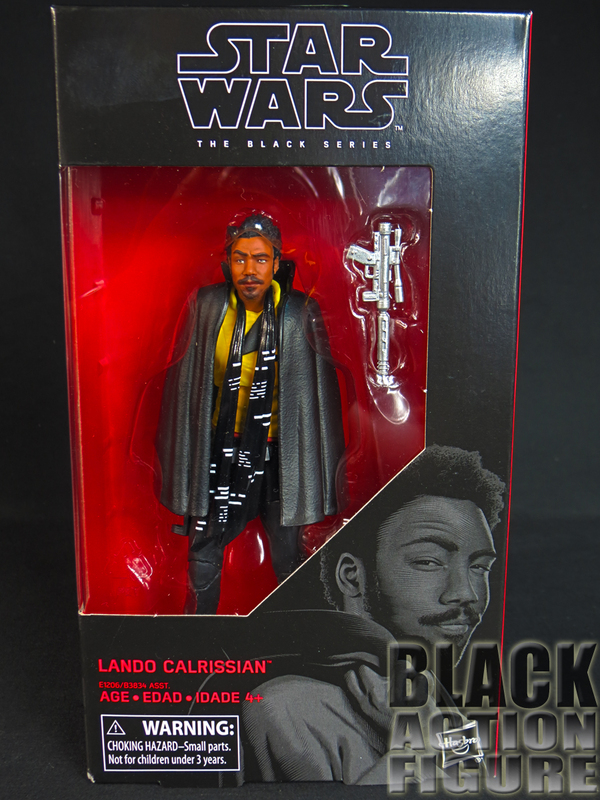 It was hard enough trying to get this figure (the only one I haven’t seen in stores and also the only one that is constantly selling for above retail on Amazon and eBay). 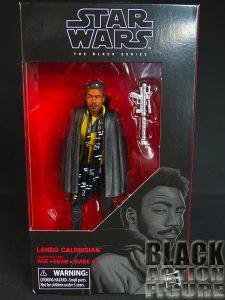 When the Hot Toys version comes out (hopefully), people will rush in droves to get this character. I don’t know how significant Thandie’s role is in the movie, but I hope we get to see a figure of her sometime down the line.